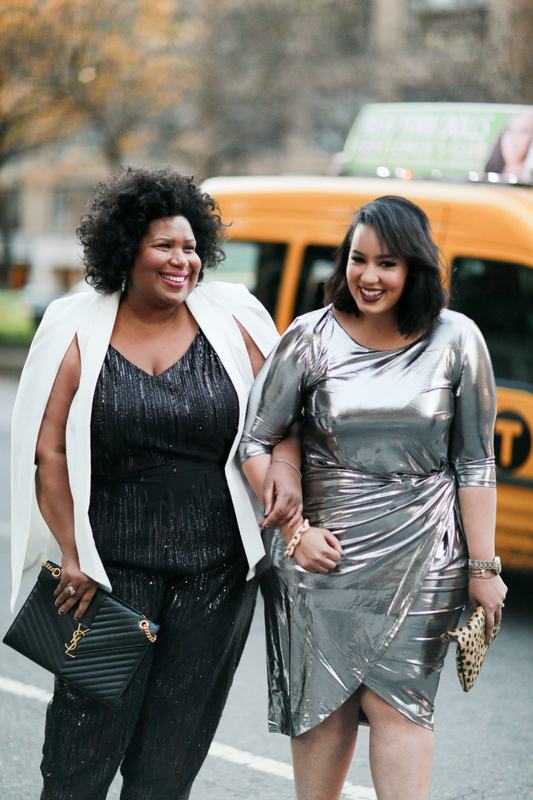 Just call us Glitz and Sparkle! No really, that's what we want to be called now. The holiday season kicks off this week! 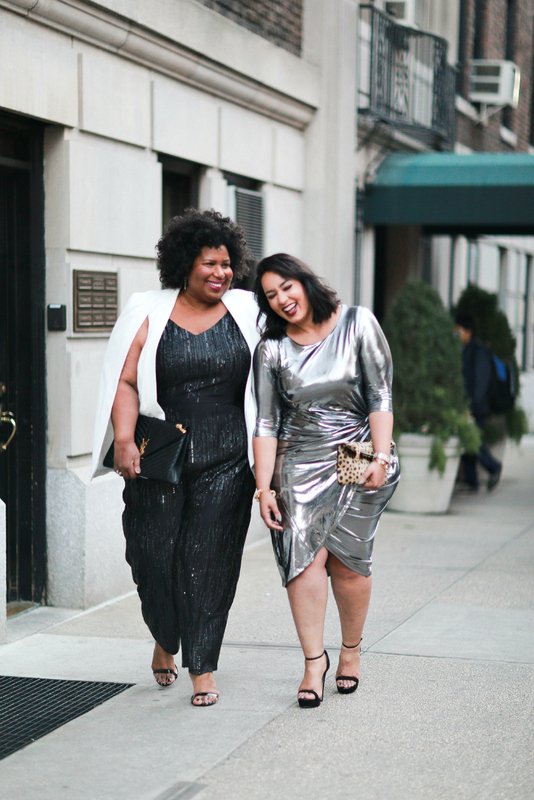 Sequined seasoooooooooon (in Oprah's voice) so...my babalicious gal pal Rochelle from Beauticurve and I hit Park Avenue on a Friday night in some of our best glitz and sparkle! Rebel Wilson just wore Rochelle's dress to the AMA's, I think it's pretty clear who won the "Stole My Look" on this one... 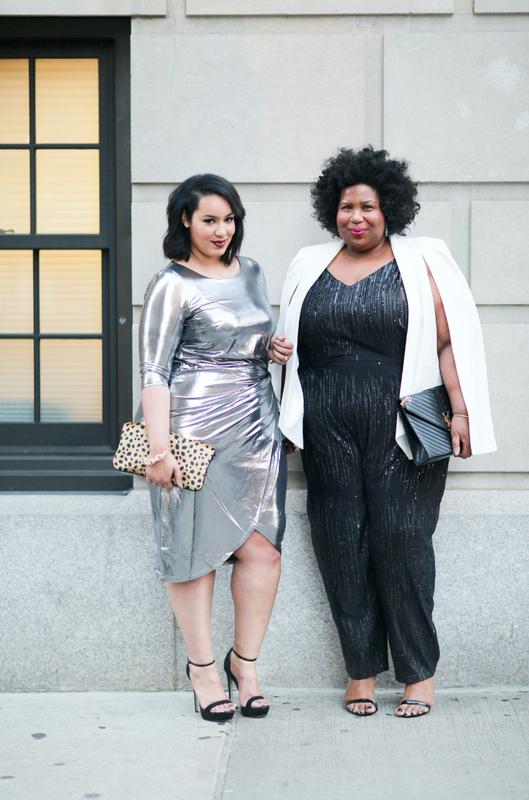 I went for a sequined jumpsuit because my long legged, long torso'd 5'10 frame rarely gets to don a jumpsuit and this one was perfect! I did size up, which was a mistake. I should have trusted that Eloquii's fit was on point as always but, I ended up having to pin and tuck so get your usual size ladies! Who's ready to shine? The entire site is 50% off, run - don't walk! 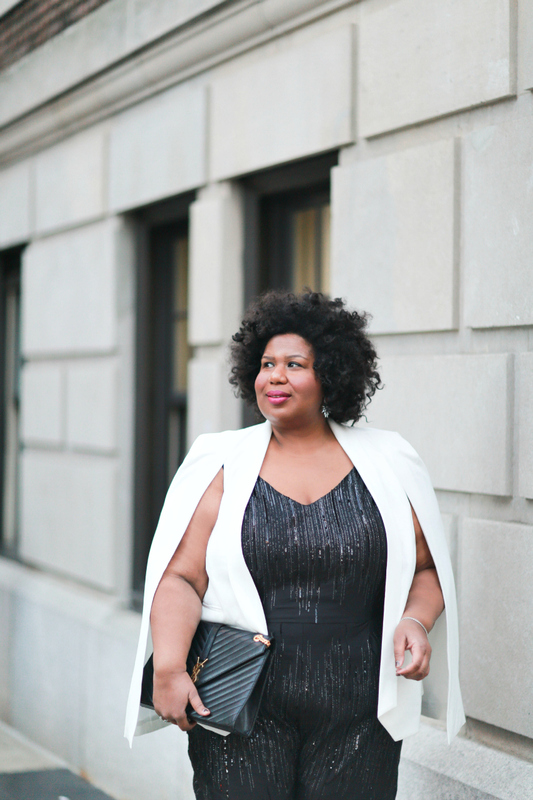 More Holiday Looks We Love for 50% Off! !